Former chief justice Chan Sek Keong has joined the National University of Singapore's Faculty of Law as its first Distinguished Fellow, with effect from today. NUS said yesterday that the term of appointment is on an honorary basis and will be for an initial period of three years. As Distinguished Fellow, Mr Chan will pursue research and writing projects, and engage students through "fireside chats" and lectures. Mr Chan was in the pioneer batch of law graduates from the then University of Malaya in 1961. He said: "After being involved in the service of the law for more than 50 years, as a practitioner, judge, attorney general and chief justice, I am delighted to be able to return to the NUS Law School where it all began. "My appointment will give me many opportunities to discuss the law in action with the students, and to encourage them to look at the law in all its manifestations." In 2010, NUS conferred on Mr Chan an honorary Doctor of Laws in recognition of his leadership of the Singapore judiciary, his contribution to the development of Singapore's criminal justice system and constitutional law, distinguished service to the nation, and long-standing and continuing support to NUS Law. "At NUS Law, we are privileged to have been an integral part of Singapore's rich legal history," said Simon Chesterman, dean of NUS Law. "It is a tremendous honour that one of our most outstanding alumni is returning to share his vast experience and knowledge after more than five decades spanning every aspect of the profession. I know that my colleagues and our students will benefit from spending time with former chief justice Chan." Born in Ipoh, Mr Chan was Singapore's chief justice from 2006 to 2012. 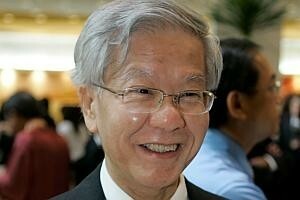 Prior to that, he was the third attorney-general of Singapore, a post he was appointed to in 1992. He was also previously a judge of the Supreme Court of Singapore. He retired in 2012 after 26 years in the legal service.